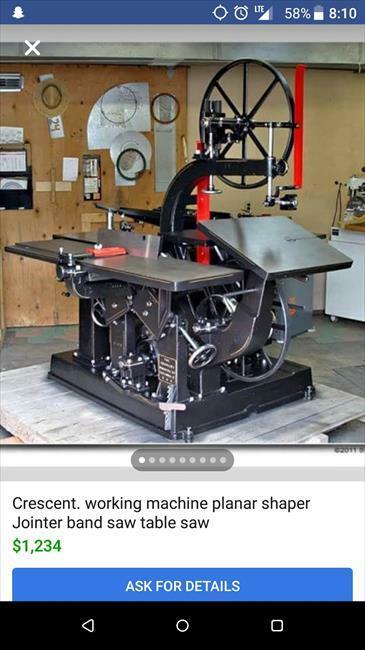 Hello, I came across this picture in a woodworking group I’m a member of on Facebook, I was just wondering if you know what machines are included on this, the year it was made, and this one will hurt the most, how much did it cost new? it kills me to see machines like this went for like $150 or whatever. They were only asking $1,234.00 for this one, I can’t get over that,what a beast! Speaking of which, how much did one of these weigh? I’ll appreciate any answers you can come up with! Ugh! I just tried to post the picture here and found out you can’t is there anyway around this?